I have been MIA for quite some time now. This summer I took a class about helping students manage crisis. It was an awesome class and inspired me to sign up to be a disaster volunteer with the Red Cross- which I did! I think I’m pretty much done all of the online trainings for that and now I’m waiting for the next step. More on that another time. As I’m starting to get ready for my internship this fall, I have been brainstorming interventions to use with middle school students. Last summer my practicum was at a high school and then earlier this year I was asked to help with the elementary school counseling curriculum. Now it is time to focus on middle schoolers! One intervention I keep seeing is using a tube of toothpaste to demonstrate that once something is said out loud, it is difficult to take back. I like that analogy but it isn’t exciting to me. Recently, I’ve stumbled across a couple different versions of lessons that use glitter to demonstrate the effect of gossip. Below I’ve added my own spin on some of the ideas that I’ve read. One person on each team will be given a pinch of glitter in their hand. The challenge is that they have to pass all of the glitter, every last speck, all the way down their line or around their circle in 3 minutes. Every person on their team must have a turn passing the glitter, no glitter is allowed to remain on anyone’s body or on the floor, and nobody is allowed to leave to wash their hands. Obviously, this is impossible to do since glitter inevitably gets EVERYWHERE! In fact, it seems like the more you try to contain glitter, the more it spreads. Next comes the meat of the lesson: How is glitter like gossip? 1. It sticks with people. 2. It is hard to contain. 3. It can easily go where you didn’t intend for it to go. 4. It can seem fun but turn into a mess. 5. Once it is spread, it is hard to get back. For Father’s Day, my family spent the day pretending we were spies and secret agents. It was really cool. 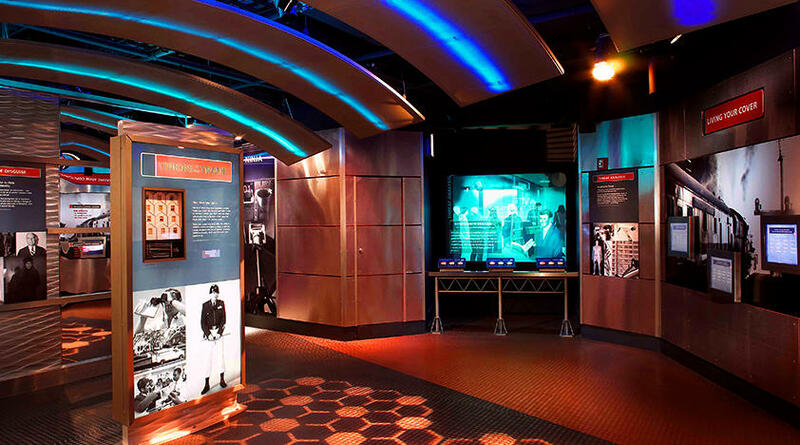 We went to the International Spy Museum in DC and then went to Escape Room Live. 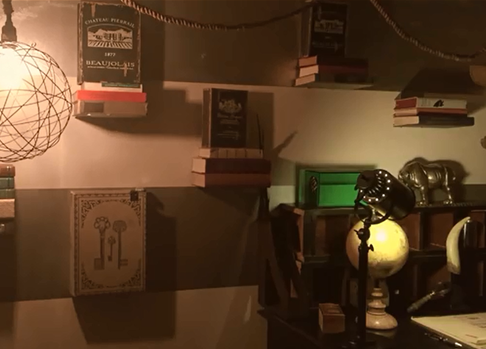 At Escape Room Live, the hosts prepped us my explaining that our friend is locked up for a crime he didn’t do; he was framed. We are to enter his office, where he left behind a bunch of clues as to who framed him. BUT upon entering his office, we trigger a security alarm. We have 45 minutes to find/decode all the clues we can, figure out who framed our friend, and then find a special key to get out of the room. It was so much fun! We didn’t get out of the room in time but we did figure out who framed our friend! That counts for something, right?! 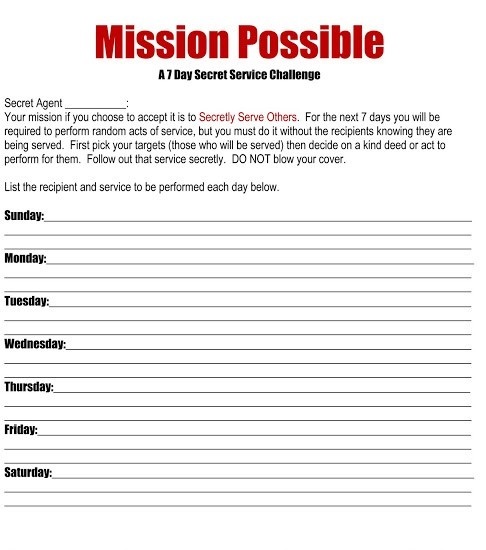 Now that I’m on this secret agent kick, I want to share a “Secret Mission” themed school counseling idea I have heard about. This idea is called, “SECRET AGENTS OF KINDNESS.” This could be a good way to kick off “Random Acts of Kindness Week” (second week of February) OR to help spread kindness if I start to notice my school’s climate is a little bitter. The idea is to present students with the idea that they are secret agents with a secret mission. Their secret mission is to spread kindness- it’s even better if they are able to spread kindness without anyone knowing it was them. I also like how many ways this activity can be tweaked to fit small groups, a class, or an entire school. If I had a small group to do this with, I would make it look pretty legit to get their cooperation. I would create a “TOP SECRET” envelope for each group member that contained their “Mission,” a way to keep track of their acts of kindness, and some ideas (the examples below are from the fickle pickle). To get this activity to take off as a school-wide initiative, I would give a large envelope or bag labeled “TOP SECRET” to each classroom teacher. Inside the envelope/bag, I would include slips of paper with the “mission” already written on it. The classroom teachers will be able to let their students pick secret missions to complete. It is the students’ responsibility to complete their missions and then come to me once it is completed. I haven’t come up with a way to monitor if a student really completed the mission or not but since there isn’t an external reward or any recognition involved, I think kids would be honest. I would love to hang up a wall of anonymous stars to represent every completed mission, a nod to the wall of anonymous heroes. Carrot, Egg, or Coffee Bean? I bet you’ve never thought about it before: Are you a carrot, an egg, or a coffee bean? I remember hearing this story awhile ago and I thought it was great for demonstrating perspective and to get people thinking about how they handle adversity/hardships. It would be cool to demonstrate the story as a lesson for kids but I think it would resonate really well as a professional development lesson for staff (maybe even parents!) too. “A young woman went to her mother and told her about her life problems and how things were so hard for her. She did not know how she was going to make it and wanted to give up. She was tired of fighting and struggling. It seemed that as one problem was solved, a new one arose. Her mother took her to the kitchen. She filled three pots with water and placed each on a burner to boil. In the first pot she placed carrots, in the second pot she placed eggs, and in the last pot she placed ground coffee beans. She let them boil. After twenty minutes she turned off the burners. She fished out the carrots, pulled out the eggs, and ladled out the coffee. Turning to her daughter, she asked, ‘What do you see?’ ‘Carrots, eggs, and coffee,’ she replied. She brought her closer and asked her to feel the carrots. She did and noted that they were soft. She then asked her to take an egg and break it. After pulling off the shell, she observed the hard-boiled egg. Finally, she asked her to sip the coffee. The daughter smiled as she tasted the rich aroma. Her mother explained that each object faced the same adversity- boiling water- but each reacted differently. The carrot was strong, hard, and unrelenting. After being subjected to the boiling water, it softened and became weak. The egg was fragile and its outer shell had protected its liquid interior. After sitting in the boiling water, its inside became hardened. The ground coffee beans were unique. After they were in the boiling water, they had changed the water. Think about it: Are you the carrot that seems strong, but with pain and adversity you wilt and lose your strength? Are you the egg that starts with a malleable heart, but changes when things get tough? Did you have a fluid spirit, but after a hardship, did you become hardened and stiff? Does your shell look the same, but on the inside you are bitter and tough with a hardened heart? Or, are you the coffee bean? When things are at their worst, do you get better, do you change the situation around you, do you elevate to another level? How do you handle adversity? Are you changed by your surroundings or do you bring life and flavor to them? 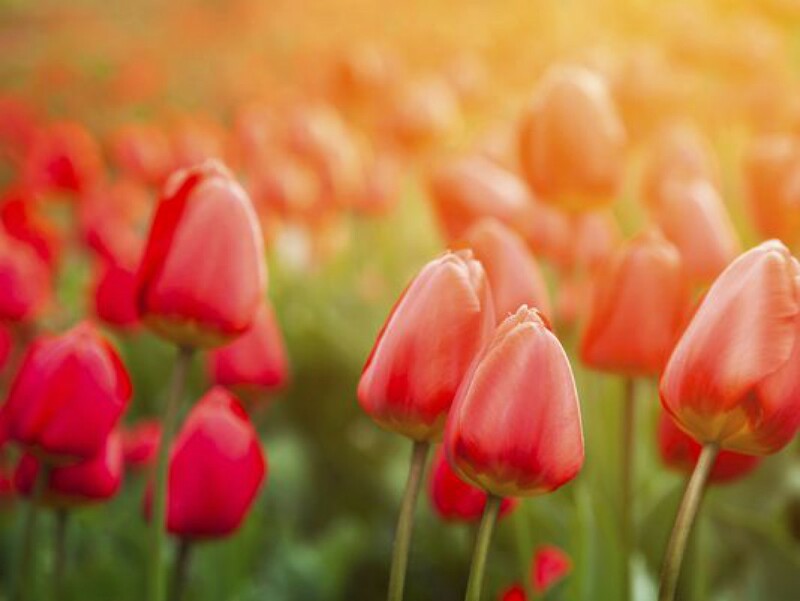 The happiest of people don’t necessarily have the best of everything; they just make the best of everything that comes their way. Who let the DOGS in… Woof Woof Woof Woof! Ok, that title was really cheesy but I couldn’t help it! In the spirit of Father’s Day this weekend, I thought I’d post about this awesome program that I recently learned about involving dads and other father-figures. The program is called WATCH D.O.G.S. (Dads of Great Students) and it is being used to increase the presence of positive male role models for students as well as enhance school security and reduce bullying. Father-figures (dads, stepdads, uncles, grandfathers, family friends, etc.) are invited to volunteer for at least one full school day. Their volunteer work is with the children so they may welcome students in the morning, help with bus duty, work on flash cards with students, read to students, sit with them in class, play at recess, eat lunch, keep an eye on the hallways, etc. Schools need a stronger male presence and I think this is a cool way to achieve that! This program, specifically, has been shown to provide an additional deterrent to bullying, increase the presence of father-figures at other school functions, create a safe environment conducive to learning, and teach father-figures how to connect to their own students. This is a resource that I am glad to have learned about and I can definitely see myself implementing it! Before going home tonight, put the burden of work down. Don’t carry it home. You can pick it up next week. Relax; pick them up after you’ve rested. Life is short. Enjoy it! As I mentioned in my first post, I don’t want to use this blog just to post ideas. I also want to use it to document my experiences and to reflect on my self-growth as I become a school counselor. I think it’s amazing how much I’ve changed and developed throughout my two years in grad school- I am much more aware of social issues and I feel a personal responsibility to advocate for certain issues and populations, even if its by doing something as simple as correcting someone when they misuse the word “illegal” to describe someone who is undocumented. During the past two semesters, I was recruited for an awesome experience in Baltimore City. Baltimore City Public Schools does not hire a school counselor for every school (I think the secondary schools have school counselors but most of the primary schools do not- I can get into this problem in another post some other time!) A professor of mine, Dr. Jones, teamed up with a teacher at a dual-language, Pre-K – 8th grade school in Baltimore City to advocate for our profession and demonstrate the need for school counselors in every school. Dr. Jones recruited several of my classmates and me to come to this school a few times each semester to provide career “coaching” for the 7th and 8th grade students. The first time I went, I didn’t really know what to expect and I couldn’t help but think the worse- were these middle school-aged kids going to be rude? Did they care about their futures? Were they going to take this seriously? Will the fact that I am an entirely different demographic than these students be an issue? Will they take advantage of the fact that I have never done this before? How am I even going to do this?! I WAS SHOCKED. These kids were extremely bright, wanted our help, were so patient and kind, and genuinely appreciated us working with them. The first thing my classmates and I learned was that in Baltimore City, students apply to attend high schools (private and public high schools). As someone who always lived in Anne Arundel County where our public schools are set up in a feeder system based on where you reside, this process was new to me. I thought, Ok, these students will just tell us what high schools they want to apply to and I’ll help a couple of them fill out the application, and it’ll be easy- wrong. I went home and researched most of the Baltimore high schools to become familiar with the names, their locations, the academics they offer, etc. I have to admit, it was pretty overwhelming! It was also a bit awkward every time I was working with a student who would ask about the process or about a school and I’d have to explain that I am learning just like they are. Then we would whip out the IPad and research the answers together. We moved on to talking about careers. It was clear that these students didn’t know what career possibilities are out there. They pretty much only knew of a handful of careers: doctor, athlete, lawyer, and teacher. Even more, they didn’t understand those careers completely. I worked with one student who wanted to be a doctor because she liked the idea of putting together medicines (FYI that isn’t what a doctor does.) We had plenty of work to do. We used trait and factor theories to match each student’s interests/skills/values to career clusters that highlight those. Another student I worked with was set on being a crime scene investigator because she watches CSI and thought the job looked cool. After casual conversation with this student, I learned that she struggled with science but loved to write and read about history. Once we researched the career and she learned about the crime scene investigator career, she realized that was not at all what she wanted to do and then we explored some career clusters better suited for her. At first I struggled with the fear of crushing someone’s dreams but all of the students were excited and eager to explore all of the career clusters and careers that they had never heard of. When my classmates and I met with the 7th graders, we decided that we wanted to find out each student’s Holland Code and then organize the class into groups based on their codes so we could more easily focus on certain career clusters with each group- seems like a good idea, right? We picked a Holland Code test from the internet with face validity and administered it to the class- PROBLEM! These students lived in inner-city Baltimore and came from low-income families. Our test was not even close to being culturally appropriate. The test contained questions such as, “Do you enjoy using a lawn mower to cut the grass?” but there was a good chance that the kids did not even have a lawn mower. We ended up scratching that entire idea because we didn’t get accurate results from the test. Lesson learned: Keep in mind what your population’s demographic is! After each student picked one or two career clusters that suited them, we helped them create career timelines. Shame on me for even thinking this, but I was expecting a handful of students to voice opinions against going to college or share doubts about being able to go to college. To my surprise, every single student expressed interest in going to college- not a single student said they didn’t want to or that they couldn’t, which was awesome! The timelines began in their 7th or 8th grade year and indicated every step they should take until they reached the desired career. Specifically, the timelines indicated the desired high school, classes they should take, clubs they should be involved in, the type of post-secondary training they will need, any certifications or licensures they will have to obtain and when, and the years indicating when each of these things may happen. The students LOVED doing this and were really into doing the research! We had students create timelines to be an occupational therapist, a computer programmer, and a public relations specialist- all of which are great careers and careers they didn’t know about previously. It is true that for many of these students, their school is a huge source of support in their college/career development. It was disappointing to learn that for a handful of the students we worked with, this was the first time they realistically talked about their futures. These students are extremely lucky to have the teacher they have, who really cares about their future and is helping them the best she can, but students elsewhere do not have this privilege. I may have taught these students about college and careers but they taught me a thing or two about the school counselor I want need to be, and for that I’m grateful. 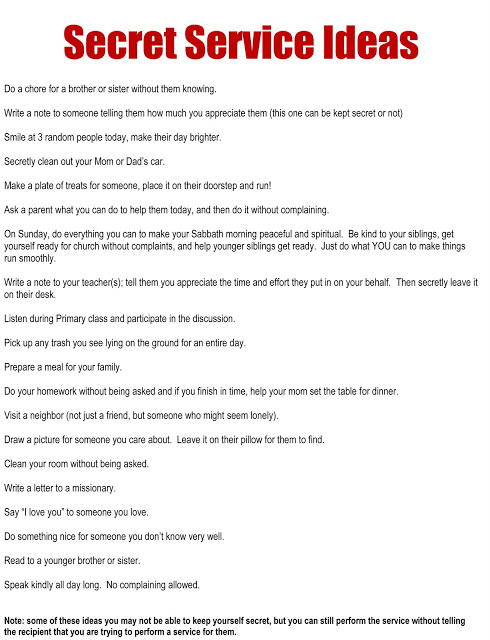 I have seen several versions of this empathy lesson all over the internet and I am looking forward to a classroom lesson with the young kids (1st graders?) to try it this way. This lesson is about teaching students to “put themselves into someone else’s shoes” – literally! 1. Recognize and identify how the other person is feeling. 2. Acknowledge the person’s feelings by stating, “You must feel ______.” This will make the person feel understood or have a chance to clarify how they really feel. 3. Do something to help. Next is the fun part, which I think is very clever!! Present the students with a stack of shoe boxes and inside each shoe box include a pair of old shoes and a scenario. The shoes can be all different types of shoes from all different types of people (ex. sneakers, soccer cleats, construction boots, flip flops, slippers, high heels, etc). The scenarios can describe short biographies of who the shoes belong to (ex. “These soccer cleats belong to Tim. Tim is a soccer goalie and the other team scored the winning goal against him during his soccer game. A couple of his teammates said it is Tim’s fault they lost.”) Students can take turns picking a shoebox and “putting themselves in someone else’s shoes.” As a class, they can practice showing empathy by using the steps above for each scenario. 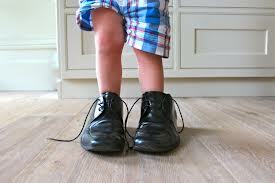 Check out “How Do I stand in Your Shoes?” here: How Do I Stand in Your Shoes? I-Statements are something that everyone could practice using-not just children. I-Statements force the person to take responsibility for their feelings instead of blaming others and they can reduce conflict because of the less hostile nature in which they are presented. I-Statements usually work like this: I feel (state emotion) When you (describe under what conditions you feel this way) Because (explain why those conditions make you feel this way). 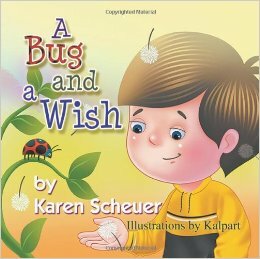 It would be nice to pass out a “Bug and Wish” card to each student to coach them through their responses. To further enforce this idea and phrase in a classroom lesson, the school counselor can create a list of scenarios and have each student offer a “Bug and Wish” response to a scenario. Hello! Hola! Bonjour! Ciao! Guten tag! Ni hao! Ahlan! I am excited to be typing my first blog entry. Starting a blog has been on my to-do list for quite some time now! I hope to use this as a spot to share ideas, borrow ideas, and share my experiences and lessons learned as I become a school counselor. I am very fortunate to currently be an employee at my county’s Board of Education and in the Department of Student Services. I have had so many opportunities to learn more about the school counseling field from a “behind the scenes” perspective. At work, I was recently asked to help a group of current elementary school counselors create lesson plans for our county’s school counseling core curriculum. I am beyond excited to be able to work on this project! We make a difference---what about you?